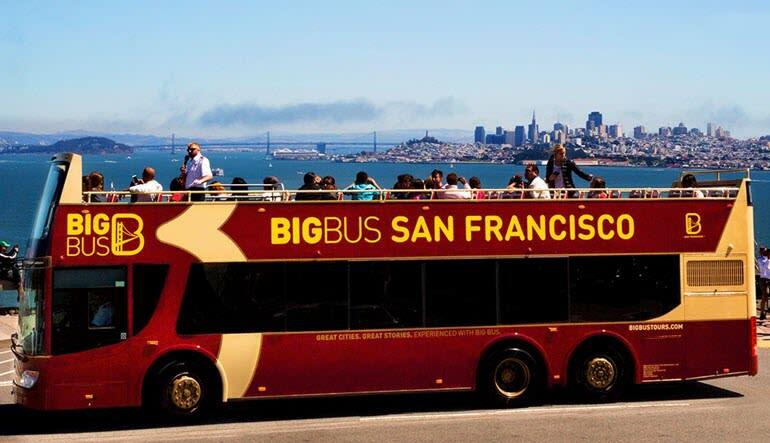 This bus tour of San Francisco sits you atop the city’s largest double decker and offers up the City by the Bay’s best curbside views. Take the full guided ride in one shot or hop on, off and on again wherever your heart desires with full day access. 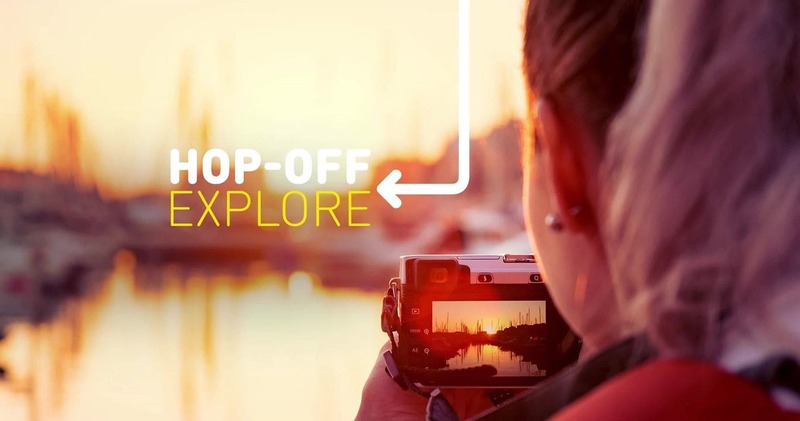 Take advantage of a 24-hour bus tour pass. Get picked up from Pier 39, snap some shots of Fisherman’s Warf and make your way to North Beach. Want to take a breather? Not a problem. Hop off at Little Italy, duck away in a cozy café and enjoy an espresso. Travel to Union Square, Civic Center and Haight Ashbury. 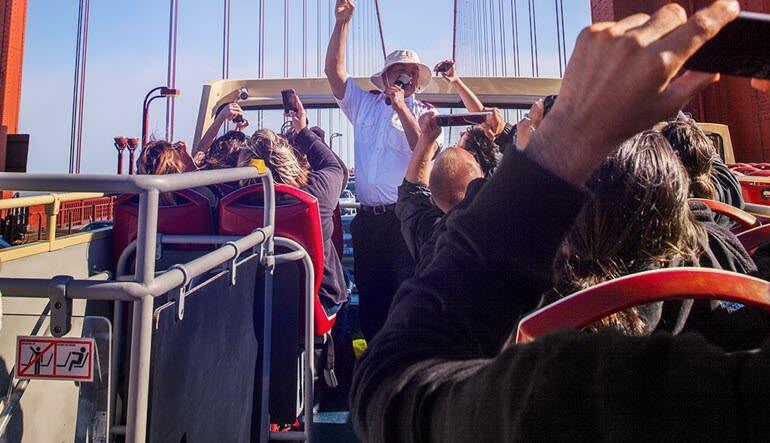 See Golden Gate Park and travel over the Golden Gate Bridge! Get amazing views of Alcatraz. Grab some renowned dim sum in Chinatown! 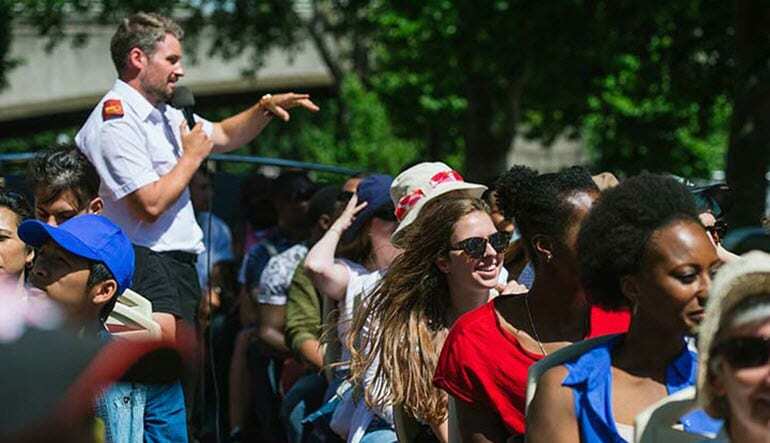 Tours are offered in English but if you’re traveling with folks with another native tongue, know that audio services are available in 10 languages! And that doesn’t even cover it all. Immerse yourself in sunny San Fran’s colorful culture and electric bustle from a down-to-earth vantage point that puts you right in the thick of it! Night Tours (Blue Route) will not be operating. All bus tours will be operating as normal.